ROOFExpress: What the hell is going on? Wait! Wait! Wait!!! Sorry Peepz! I am here. I am here to answer your queries and yes I apologize for the time off. 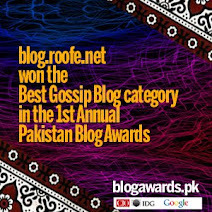 Ever since I won the Google & CIO Pakistan Blog Award in May 2010, there have been lots of queries that what’s going on and why the hell I am not blogging on my personal blog. I should at least show some “SHODISM” on the blog but why I am not doing so. Those who are in my FB list or following me on twitter knew that I have been micro-blogging as well as writing on other blogs. So why not here? Well it’s a weekend so let’s sit down, turn on your AC (if there’s no power shut down at your place), be patient and I’ll try to answer as much as I can. When I wrote my last post, I decided that I would write the next post after couple of months and those who are regularly following should know that I am blogging less here since some time due to professional commitments & busy day schedule. To be honest, I wasn’t writing here because I didn’t want to. A friend of mine advised me that I should only share exclusive news with my best friends and I have been giving his advice a shot. This experiment of sharing news with only close friends has been marvelous and I plan to continue it for a while. Meanwhile, let me broadcast now what’s been going on my side. May and Early June 2010 were pretty much down for me. Though there were good news but yet I was overburdened with negative stuff. I lost one of my great buddies and yet couldn’t do anything about it. The thing I liked the most about me at that moment was that though I wasn’t talking, I managed myself to the office at 9 a.m. the next day. Organized couple of events for few of my friends in last few months as well as helped P@SHA organize one at Royal Palm. With the help of IEEE Lahore GOLD Team, placed around 23 students/recent graduates in summer internship program so far and am somewhat content with our performance this year. Dad gifted me an iPed (http://roof.pk/bs) on Father’s Day and I loved sharing pictures with all my Facebook Friends. 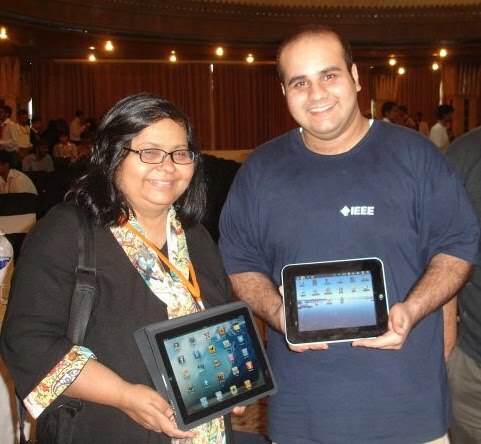 Even gave a test drive of it to few people at the P@SHA LaunchPad 2010. So yes, before I close this post and move to another one let me get into some Shoda Mode. 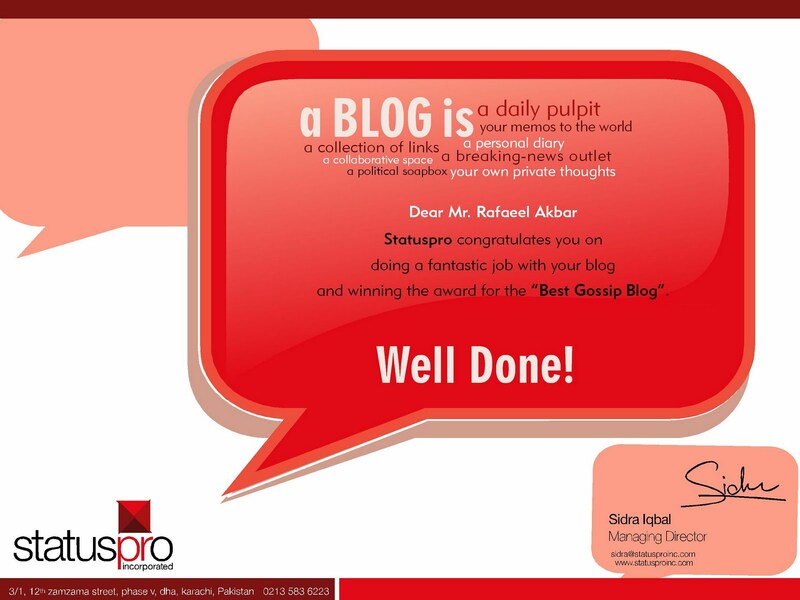 I won the Google & CIO Pakistan Blog Award in the “Gossip Blog” category and Yes I publicly admit that I am happy about that :) . Couldn’t attend the event due to some office commitments and would sometime soon collect my trophy from the organizers. A very special thank you to all lovely people out there who voted for me. The announcement slide and a congratulation note from Sidra Iqbal’s “Status Pro Inc" follows this text.